Gladiator: Blades of Fury is a melee combat action fighting game set during the medieval period. 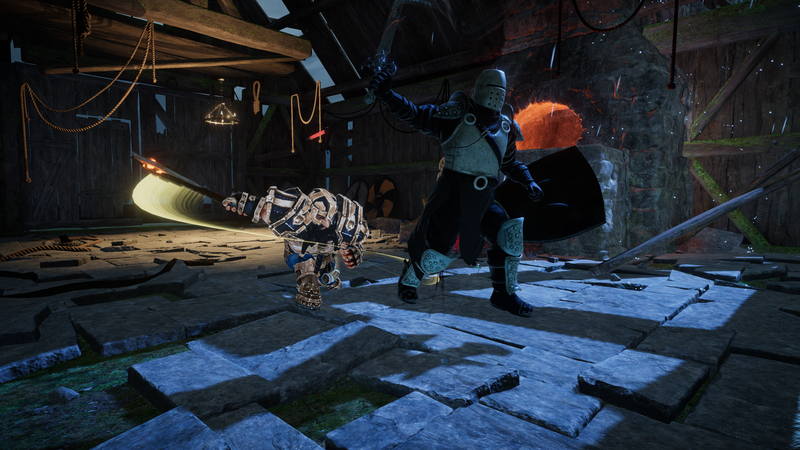 Players can play as a gladiator from four different clans, namely the Barbarians, the Assassins, the Knights, and the Dwarves. All heroes are unique and have their own weapons, skills, and fighting styles. Test your combat skills in the tournament mode and claim the ultimate price, to be crowned the champion gladiator. The thrilling quick match mode allows you to play and practice a quick game to sharpen your skills. Explore different environments while you learn the art of combat. 4 Fighting clans, namely Barbarians, Assassins, Knights, and the Dwarves. 7 Environments to choose from. Perform weapon combos, slow-motion moves to fight and win the tournament. Multi-language support, English, French, Italian, Spanish, German, Japanese, Chinese, Russian and Dutch.